Unfortunately, our memories as a kid change with the progression of the world. It’s a fast changing place in which we live, sometimes for the better, a lot for the worse. I’m glad it rekindled your memories and also pleased you got a picture. Memory is a tricky thing, to be sure. We all probably sweeten them with the passage of time; I’m sure some of the barely resemble the truth. That picture jumped into my screen and wham! I was instantly transported back fifty years in time. Great time machine. Isn’t it? Makes me wish I could ride along in the back of my grandpa’s pickup truck one more day, just to take in that period of time with my middle-aged eyes. 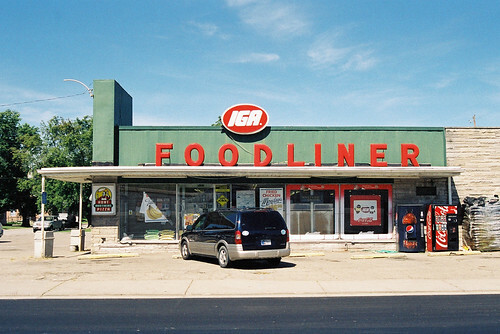 Fond memories of college – the local IGA was in downtown Greencastle, IN and we would walk from our dorms to the store to stock up on food for Sunday night when the school cafeterias closed to give the workers some time off. 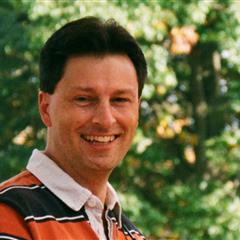 20-mumble years ago I dated a woman who graduated from DePauw. We went up to Greencastle one Saturday just so she could have a GCB at Marvin’s. The IGA did not feature in our date. IGA! We can only find them up north now. Further north more there are. Wow I just looked up their store location, thereare actually still a lot of them. They’re all well hidden, then, because I hardly ever see them anymore! This was fun. I’d just like to see an old A & P store! Sometimes you’ll see one of those repurposed. I know of a former A&P store in Logansport, for example. My family can even predate IGA, my father and grandfather had a corner grocery store here in Madison that was in our family for nearly 70 years. As a kid me and my brother would deliver yes deliver groceries everyday after school, I could write a book !! That’s cool, Bernie! Corner grocery stores… man, when was the last time you saw one? Not since I was a kid and worked at one, there used to be one for about every 5 or 6 blocks down here and my dad would get so mad when we snuck down to the one a few blocks from ours because they had some really cool toys in theirs lol !! The Thorntown store provides the meats for Stookey’s across the street. Stookey’s is famous for catfish, but I hear raves about the burgers! There’s an IGA in Thorntown? I haven’t been there in 5 years or more — I can’t picture it!